Vertical Entertainment has released the official trailer for the upcoming comedy “Drunk Parents”, scheduled to be released later this year. 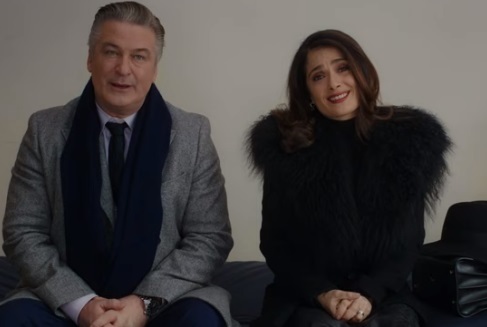 Alec Baldwin and Salma Hayek are two drunk parents who attempt to hide their ever increasing financial difficulties from their daughter and social circle through elaborate neighborhood schemes. Bridget Moynahan, Sasha Mitchell, Joe Manganiello, Natalia Cigliuti, Jim Gaffigan Aimee Mullins and Ben Platt are among the movie stars. The song playing in the trailer is Best Life by KOYOTIE.